Already we owe the Royal Navy of Denmark for their assistance with our projects of building the steel Rouquayrol Denayrouze regulator backpack and the Pig Snout Mask, but during our visits at the navy base we also discovered another ‘gem’, in a showcase in the officers building a huge and beautiful underwater lamp was displayed. At first we were just very impressed but when I visited the navy base in 2007 to take pictures of all interesting items for the new book of Leon Lyons, I also took pictures of this beautiful lamp. In 2009 Rob told me that he would like to rebuild the lamp. 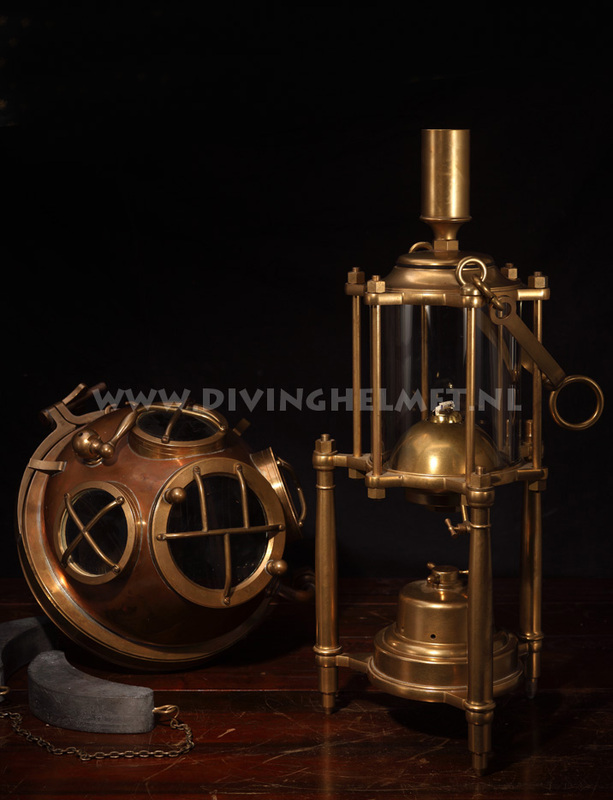 Initially we thought the lamp was made by Ludwig von Bremen because it was shown with all kinds of von Bremen diving equipment in the 1885 edition of the diving manual of the Austrian navy, but in the mean while we had found out that it was a lamp made by Louis Denayrouze who had introduced it in 1873. 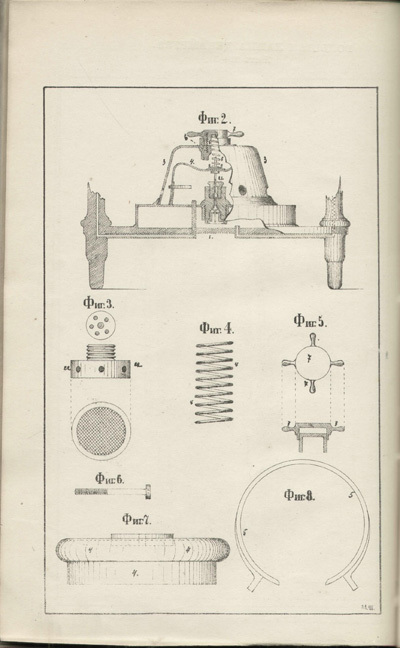 I supplied the photo’s to Rob and also we had the drawing from the 1885 Austrian navy manual. A bit more then a year later the first lamp was finished. 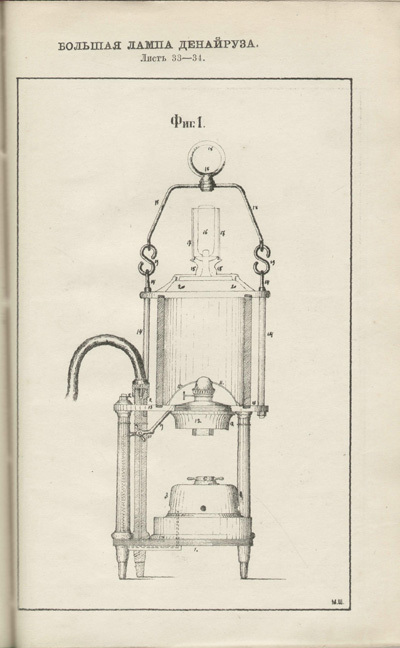 Above: The 1873 Louis Denayrouze lamp illustrated in the 1885 edition of the diving manual of the Austrian navy. 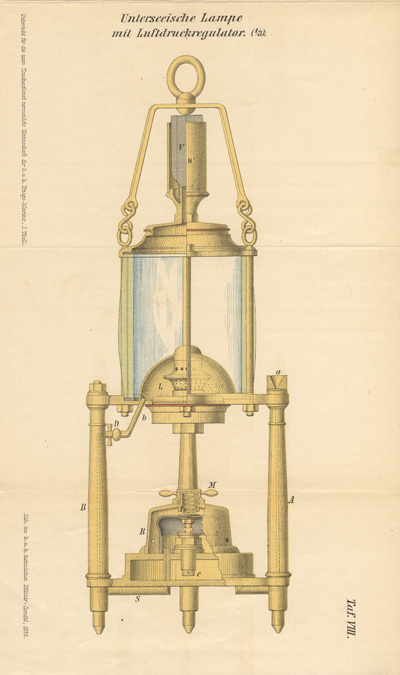 Above: The 1873 Louis Denayrouze lamp illustrated in the 1885 edition of the Diving Manual published by the diving school in Kronstadt, Russia. 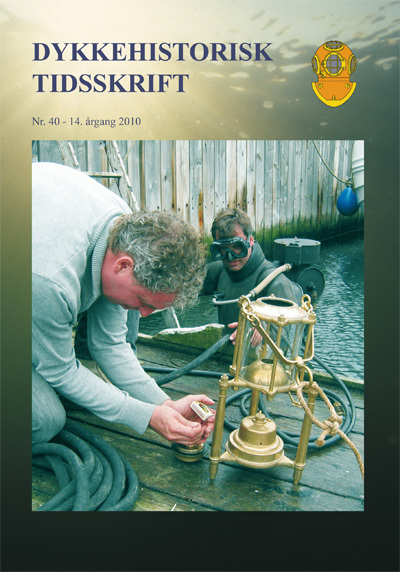 On the cover of the ‘Dykkehistorisk Tidsskrift’. 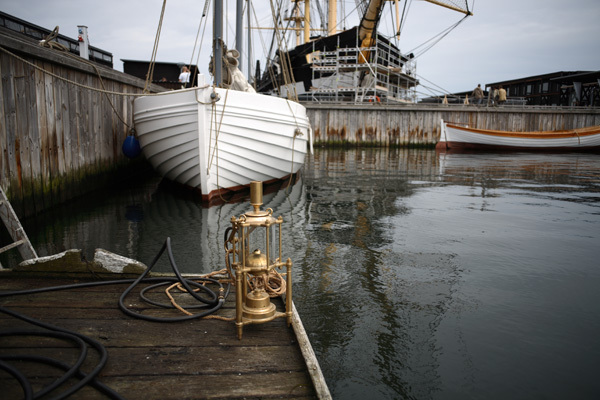 Same place same time but now its me putting a light in the lamp, Rob is standing by to take her down in the water.